All Ages Open Studio! Paint any of our 40 self-guided paintings on a 10"x10" canvas any time between Noon and 3:00 p.m. 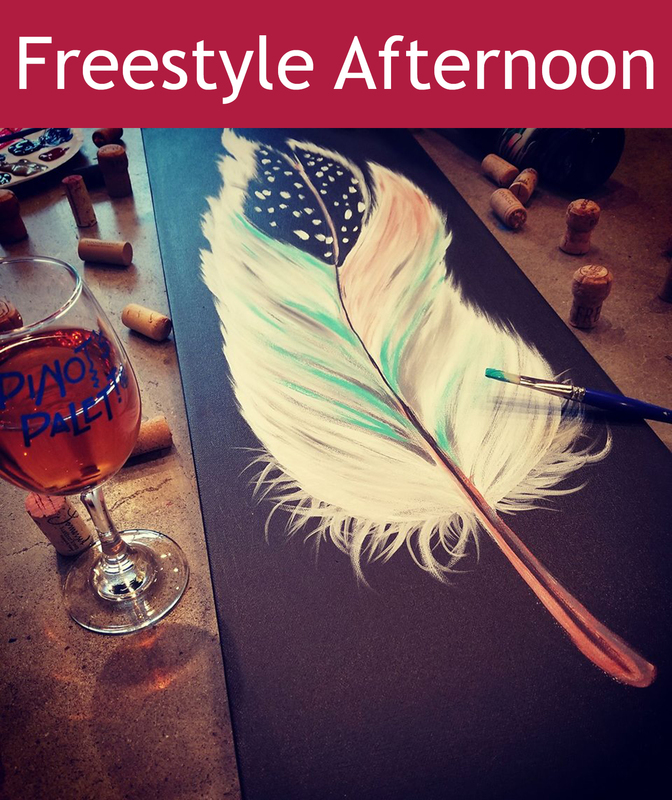 Anticipate 1 hour to complete your masterpiece so please arrive no later than 2:00 p.m. We have a great variety of paintings suitable for adults and children alike. No age restriction - bring the whole family. A professional artist will be here to provide assistance as needed. No discounts allowed.